313 Grand Key Terrace Palm Beach Gardens, Fl 33418 has been sold. 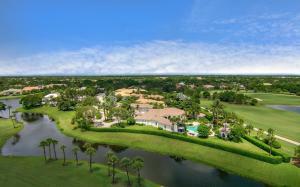 THIS EXQUISITE SPRAWLING ESTATE IS SITUATED ON ONE OF THE LARGEST LOTS (ALMOST 1 ACRE) IN ALL OF BALLENISLES. ENVELOPED IN MAGNIFICENT WATER/GOLF VIEWS, LUSH LANDSCAPING AND THREE DIFFERENT SECURITY GATES, THIS PROPERTY IS EXTREMELY PRIVATE. WITH OVER 8,000 SQUARE FEET OF LIVING SPACE, THIS HOME BOASTS TWO, VERY LARGE, MASTER SUITES WITH PRIVATE OFFICES, 4 GUEST SUITES, 7 FULL BATHS, TWO HALF BATHS, A MEDIA ROOM, A LIBRARY, A GYM, TWO GALLERY ROOMS AND A JUICE BAR. SEPARATE UPSTAIRS AREA OFFERS PRIVATE GUEST SUITES AND A LARGE LOFT AREA, UNBELIEVABLE OUTDOOR LIVING AREA WITH PANORAMIC VIEWS OF THE WATER AND GOLF COURSE, HOTEL-LIKE POOL AND SPA, CABANA AREA & OUTDOOR KITCHEN. 4 CAR GARAGE. 313 Grand Key Terrace located in Palm Beach Gardens, FL is a single family home with 7 bedrooms, 7 full baths and 2 half baths.The Home at 313 Grand Key Terrace was built in 2000 in Ballenisles and offers a 4 car garage. This Ballenisles Home offers pool, golf course, tennis, bike - jog, clubhouse, basketball, lobby, exercise room, community room, shuffleboard, spa-hot tub, sidewalk, manager on site, putting green, street lights, whirlpool. 313 Grand Key Terrace Palm Beach Gardens, Fl is currently listed for $2,695,000 under the MLS# RX-10489410. This Home has been put on the Palm Beach Gardens MLS system and currently has a status of SLD.